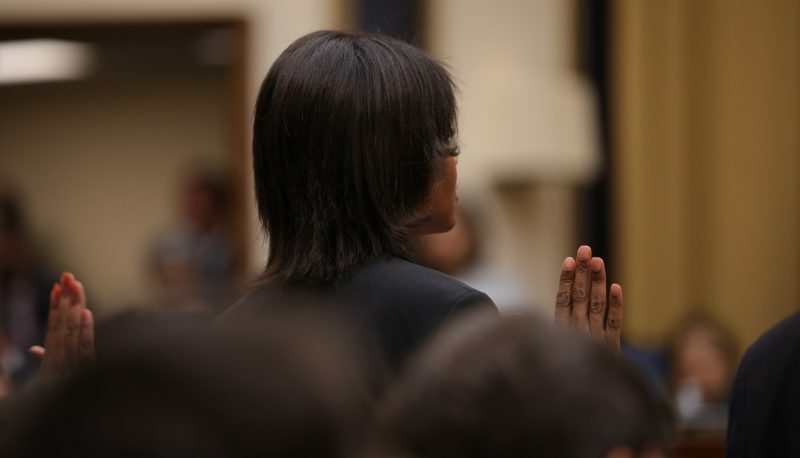 A panel of experts and people with lived experience who study and feel the effects of violent extremism in this country sat under the lights in the Rayburn House Office Building this morning–next to right-wing activists Candace Owens, communications director for Turning Point USA, and Zionist Organization of America’s Mort Klein. The esteemed experts attempted to share factual information and proposed solutions, but their messages were frequently derailed by the conservative duo’s efforts to change the topic of discussion and wield the hearing as a bludgeon against Democrats. 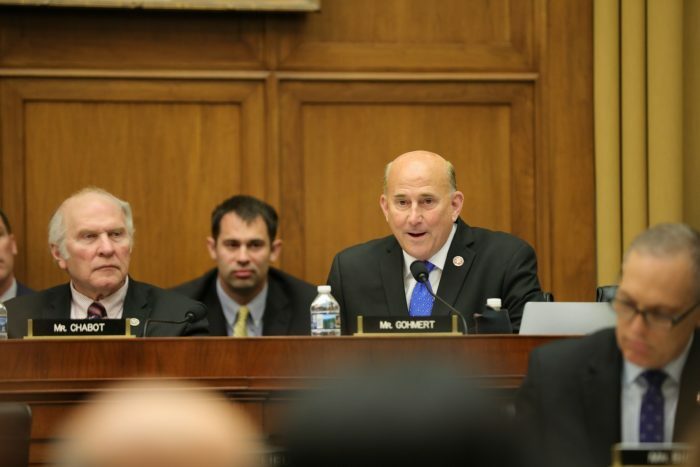 Republican members of the Judiciary Committee in attendance, including Reps. Louie Gohmert and Ken Buck, egged them on and, at one point, Rep. Greg Steube yielded his time to Owens to make whatever comments she wanted to. Buck asked Owens if her status as a “pro-life” conservative “triggers” liberals. It’s hard to have expected more from Owens, who started her media career calling herself “Red Pill Black,” was boosted by Alex Jones’ Infowars outlet, and recently said that the problem with Adolf Hitler was that he was too ambitious in expanding his genocidal regime outside of Germany. Owens told the House Judiciary Committee under oath that anti-extremism researchers have expanded the definitions of what is considered extremist with the goal of creating more data points that liberals could use to scare minority groups into voting for them. She asserted that anti-fascism action is a larger threat than white nationalism in the United States, despite ample evidence that violence by right-wing extremists in the U.S. has been on the upswing since 2016, with the frequency of incidents nearly tripling in number. To bolster her false claim, Owens cited an instance in which she said anti-fascist activists in Philadelphia threw water and eggs at her. In many ways, the hearing represented the general circular nature of the nation’s conversations about white nationalism: Democrats are seeking information but don’t know where to start fixing things and Republicans disavow the most extreme forms of racism before quickly seeking to change the conversation. At one point, Gohmert used this hearing about a deadly domestic terrorism threat to ask why his friends “Diamond & Silk”–the YouTube-famous, Trump-boostering sisters Lynnette Hardaway and Rochelle Richardson–were still reporting difficulties posting videos to their Facebook page. – Brexit, Democrats are the real racists, White Nationalism isn’t a thing, abortion, etc. etc. etc. The current state of mainstream discussion about extremism revolves around in a dizzying dance of denial, misdirection, and ineptitude, while our government’s apparent inability to combat extremism effectively erodes our institutions, as its enablers evade any form of accountability. The profit-driven companies that provide the platforms on which hate flourishes only respond to issues when bad press comes to light, but fail to implement effective structural changes to combat the threats posed by extremism. Neil Potts, who attended the hearing representing Facebook, and Alexandra Walden, who represented Google, both claimed that their companies were working to combat extremism on their platform—even as YouTube locked the comment sections of a livestream of the hearing because it was flooded with racist speech.